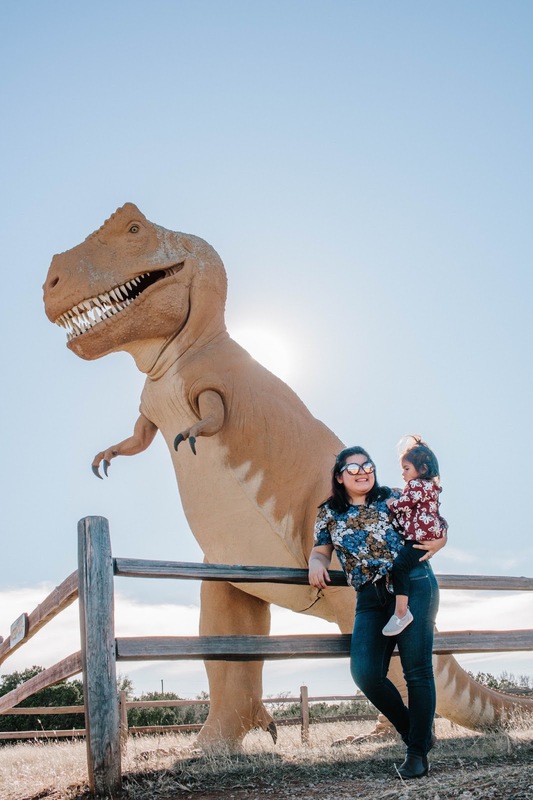 If you have been following us for a while you know that Mila is absolutely in love with Dinosaurs. 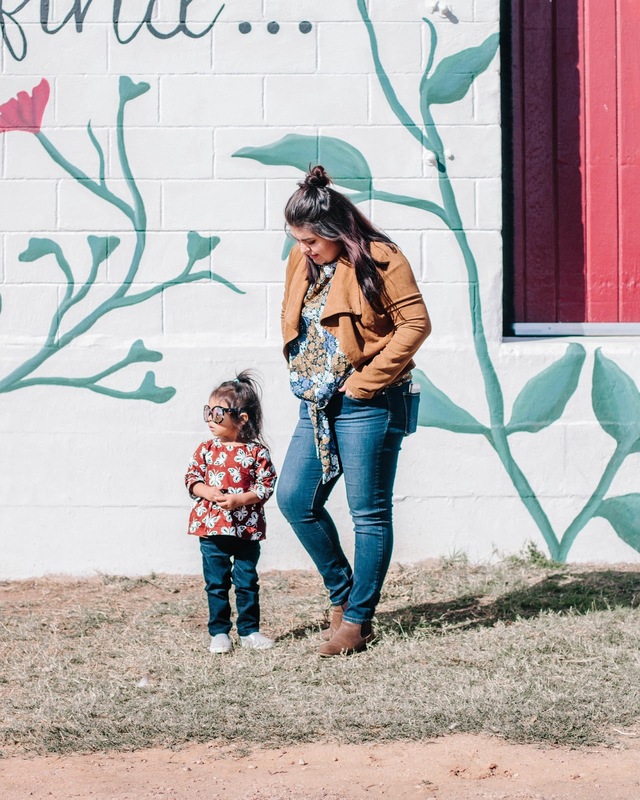 We don't know why or how we just know that one day she kept asking us to watch Dinosaur Train on PBS and her love for the prehistoric creatures grew from there. We told Jeff's mom one day when she asked what Mila likes and we told her Dinosaurs, she ended up finding Jeff's old set of dinosaur toys from when he was little and gave them to her, only making her fall in love with them more. 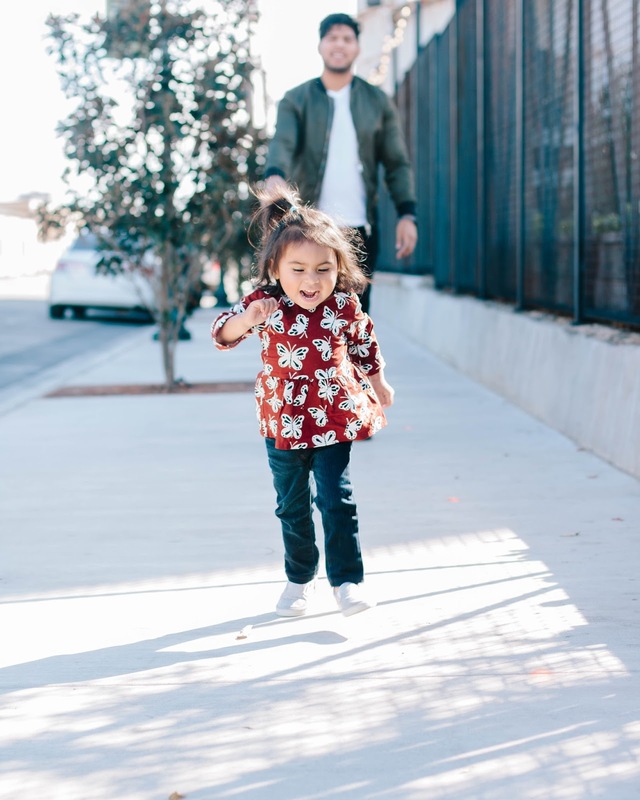 I never had a problem with it, and we always let Mila lead us in whatever she wants to do. 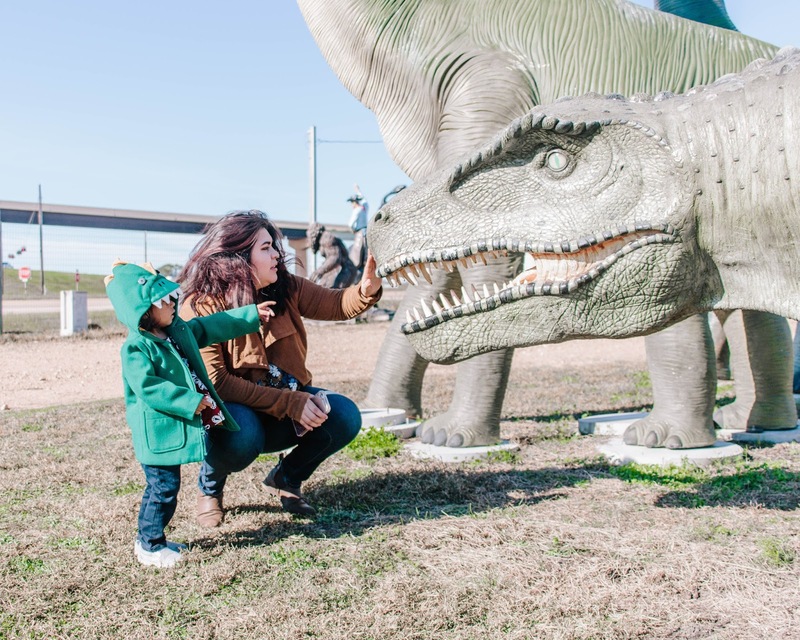 So on a work trip to Dallas, we decided to take a couple of detours and show Mila some life-size dinosaurs. 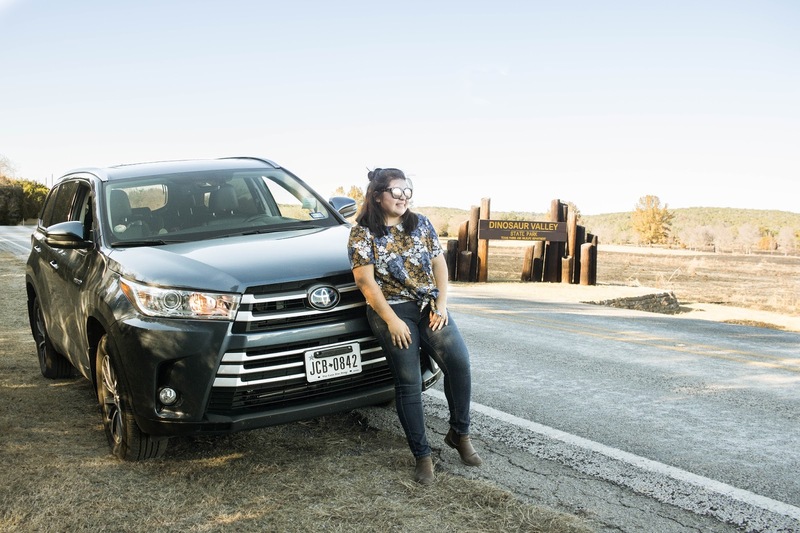 We set off in the 2017 Toyota Highlander Hybrid XLE, only really knowing that we wanted to stop at Dinosaur Valley State Park in Glen Rose Texas, but a set of big Dinosaurs appeared on the side of the highway that we just had to stop at. The place is called Frazier's, and they sell so many crazy cool things. 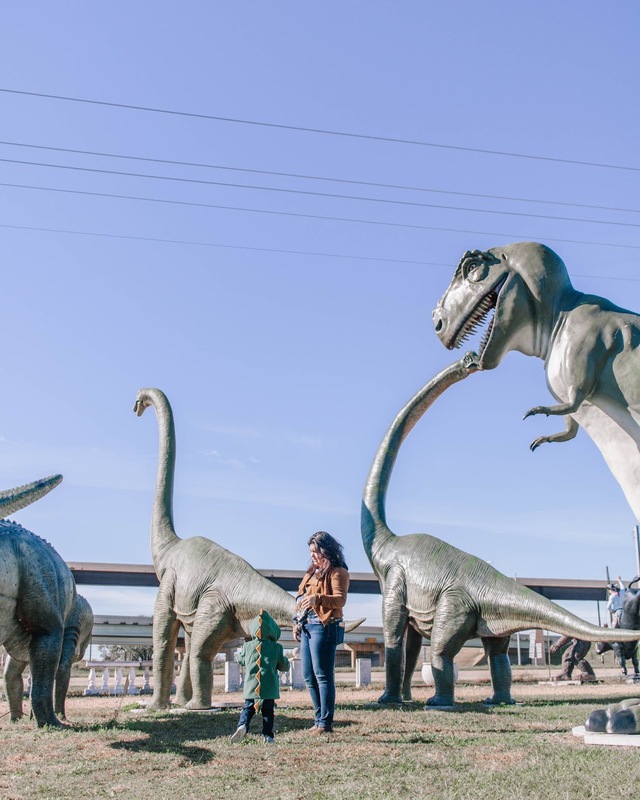 Mila was literally the happiest person on planet earth when she got to see all these Dinosaurs. 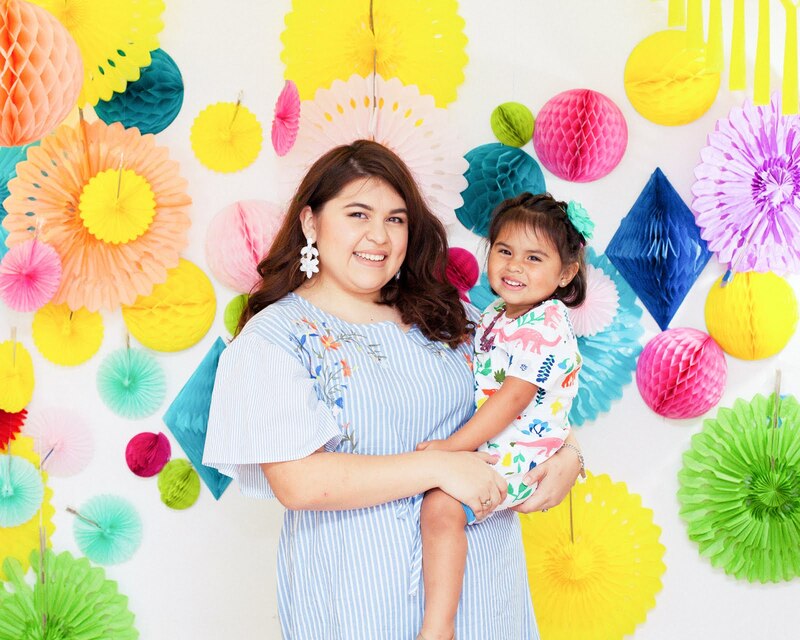 There's nothing better for me as a mom to see her this happy. I also love encouraging her to discover more about things that she loves. 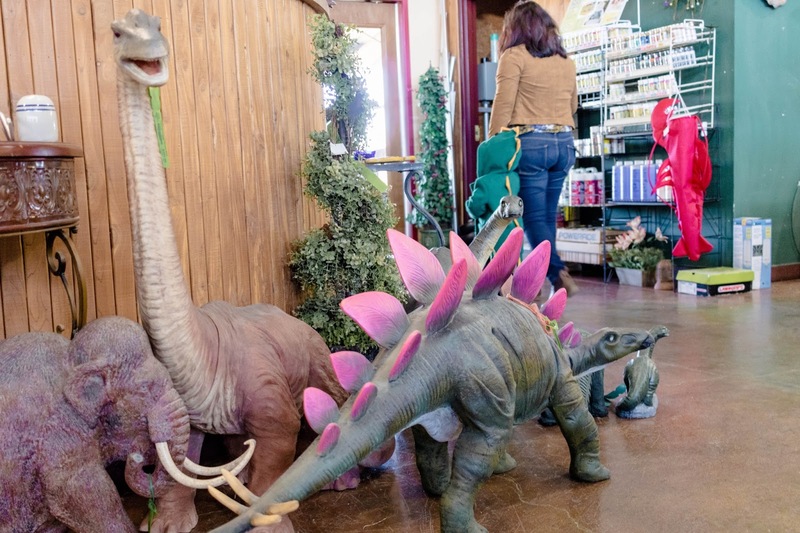 To show her that Dinosaurs aren't only toys but that they were once larger than life animals that roamed the earth! 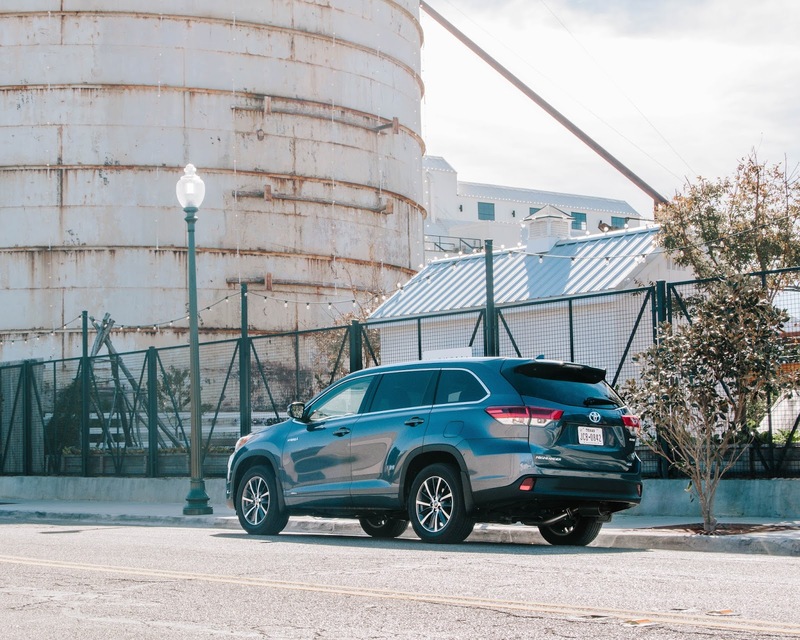 We made a pit stop at the Magnolia Silos in Waco, Texas but we're total Noobs and didn't know it was closed on Sunday! We honestly don't watch Chip & Joanna Gains but we figured we might as well stop because everyone on Instagram always stops, jokes on us. 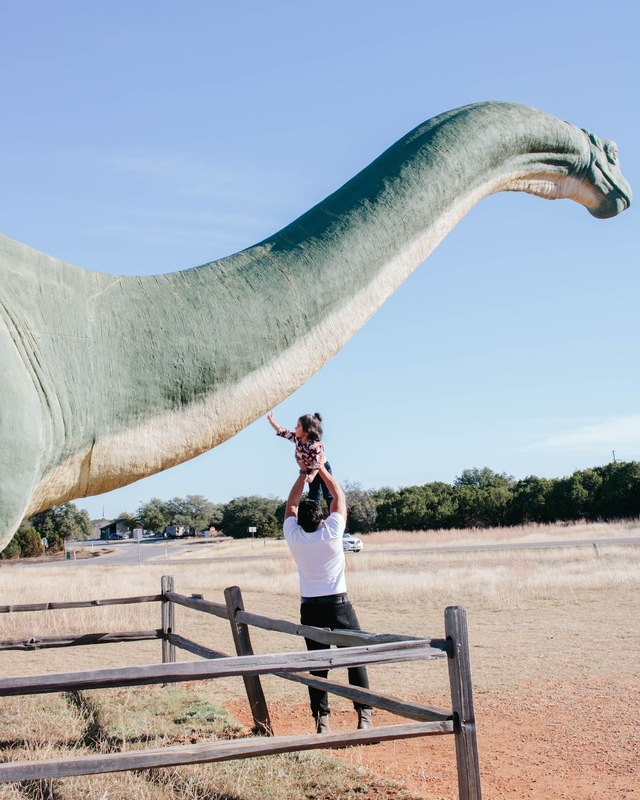 The next stop was Dinosaur Valley State Park, a park that I had been wanting to take Mila to for the longest time. 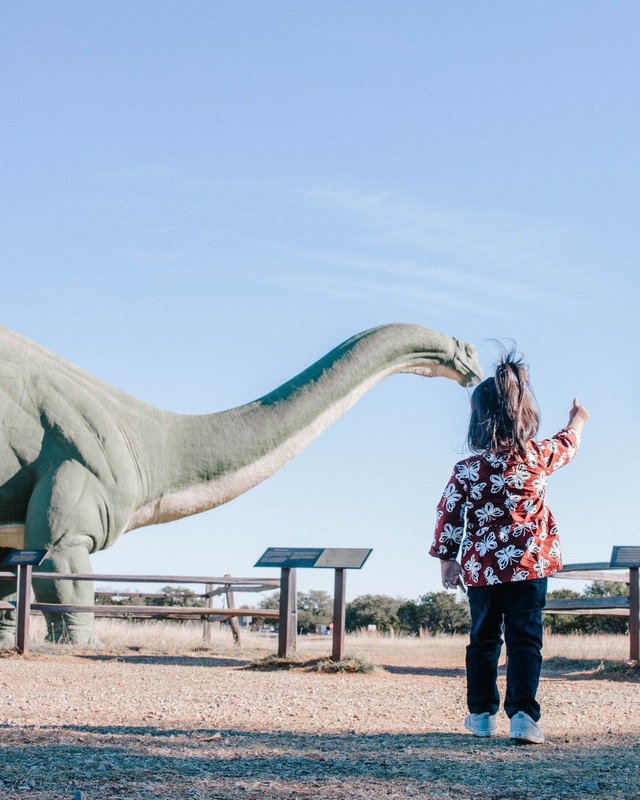 Dinosaur Valley is a park where Dinosaurs actually roamed in Texas. 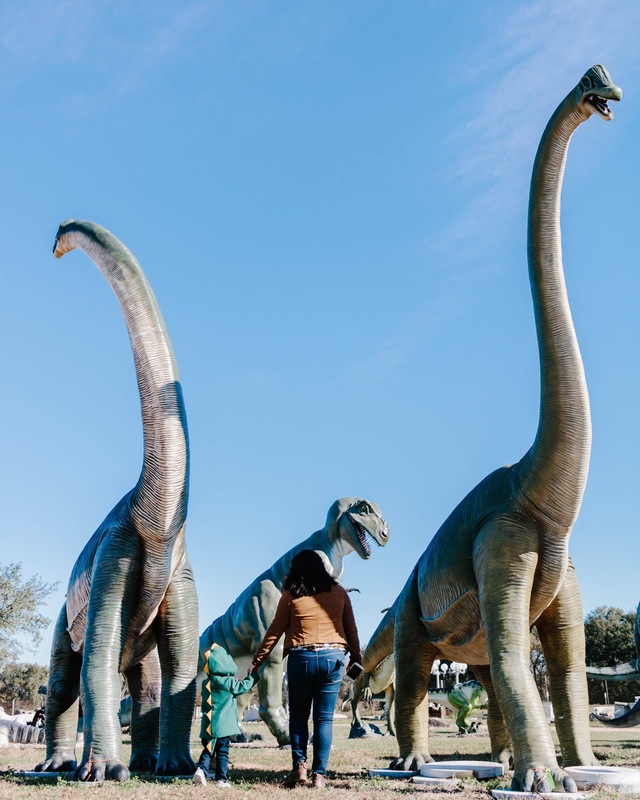 You can find actual Dinosaur footprints in the creeks, and take some sweet pictures with the large statues that they had. I wish we had more time to hike and explore, but now we know what to prepare for the next time we go! 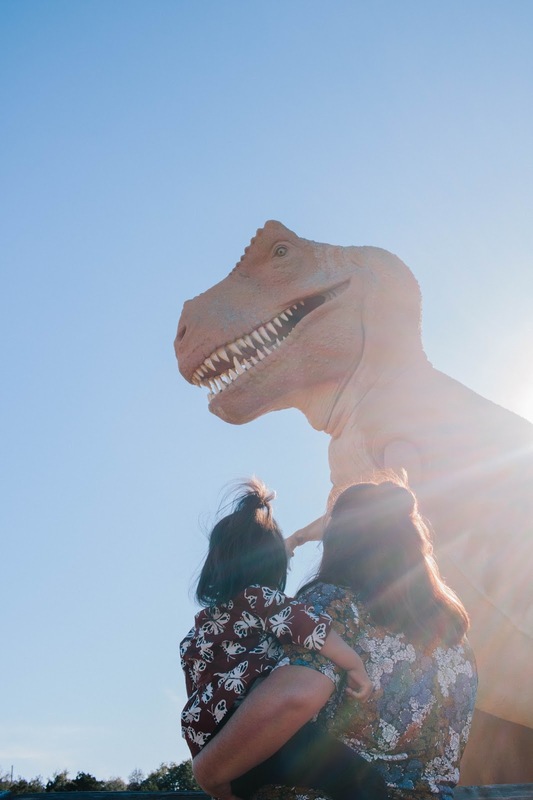 At this point in our trip, Mila was pretty mad that she couldn't get on one of the dinosaurs. Next time we're going to have to find a place with Dinosaur rides! 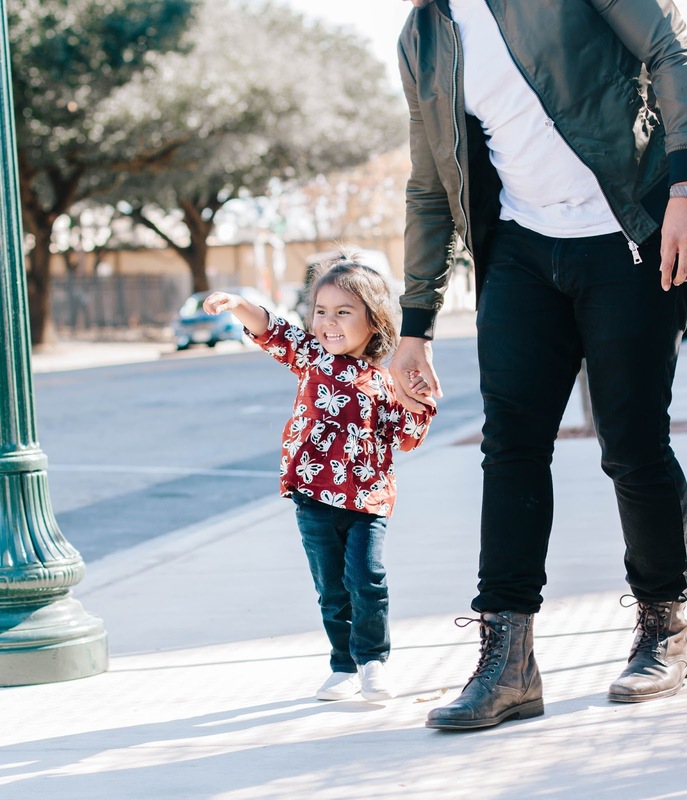 What are some things you do with your kids to encourage them to explore more of their passions?